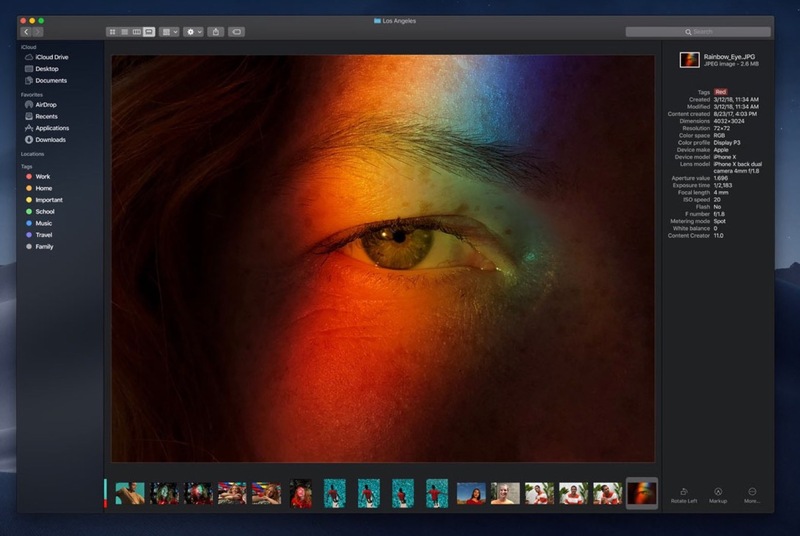 Apple announced the next version of its desktop operating system at this week's Worldwide Developer Conference (WWDC): macOS Mojave. Due out in the fall, Mojave doesn't bring a lot of new features, but some of the changes will be very visible. 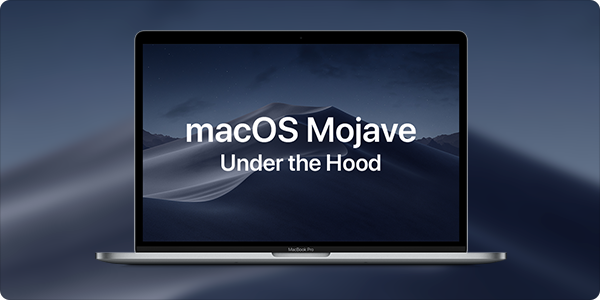 Much of the work on macOS Mojave is under the hood, bringing refinements to the guts of the operating system. Gone are the days when Apple could tout 100 or more new features in an OS update; instead, now they focus on a half-dozen marquee features, while still tweaking the operating system in lots of little ways. The biggest change you're likely to notice in Mojave is dark mode. You may already have some apps that offer this option; this will become an OS-wide setting, turning everything from light to dark. Dark mode looks cool, especially when there are visuals, such as icons, on a black background, but you may find it harder to read text. Some studies have shown that it is more difficult to distinguish white text on a dark background for many people, especially those with astigmatism (50% of the population). Overall readability is lessened, and, while dark mode can be extremely helpful in apps where you work on graphics—most photo editing apps have a dark interface for this reason. 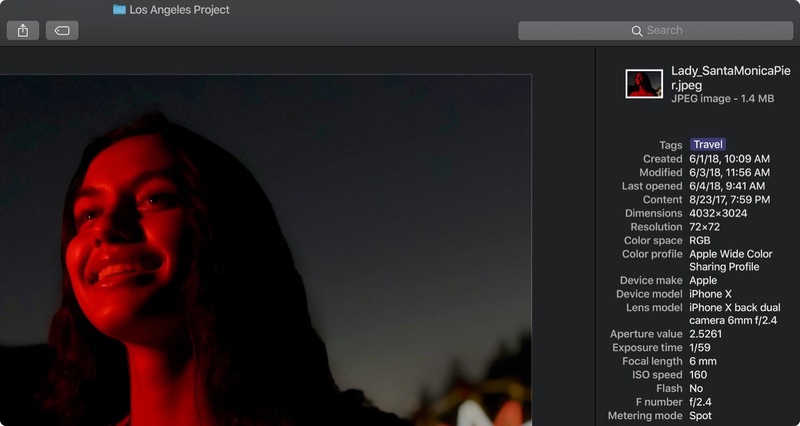 Even Apple's Photos switches to a dark mode when you edit a photo—it's less of an advantage when you're working on text. 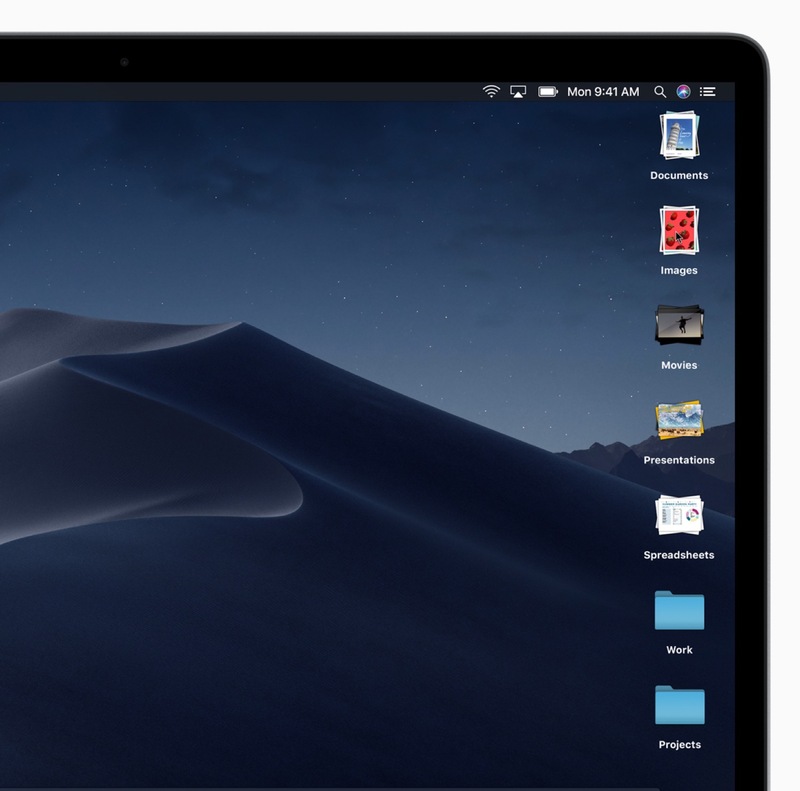 Apple is kick-staring the desktop, with a new dynamic wallpaper option for the default Mojave graphic, and by introducing Stacks, a feature that groups the disparate files on your Desktop into piles by type, date, tag, or other criteria. If you have a cluttered desktop, this will be a big help. The concept of stacks isn't new; in fact, these have been available in the Dock since Mac OS X 10.5 Leopard, but bringing them to the Desktop is a good idea for people who use that space to store their working files. The Finder will also offer enhanced metadata in a right-hand column, if you wish to display this. Most people won't need this, but it will be useful to photographers, for example, who want to sort through their photos in the Finder. 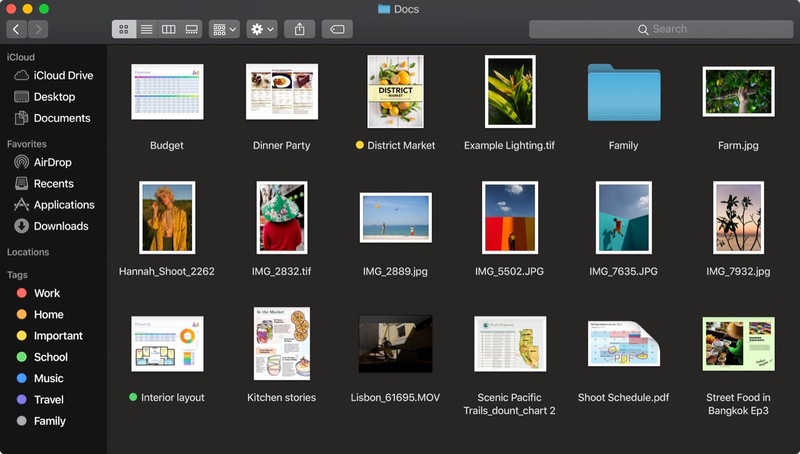 The Finder also adds Gallery view, similar to Cover Flow view, which shows you icons of your files at the bottom, and lets you scroll through them with large previews above. In that view, the Finder window will have a few contextual quick action buttons at the bottom, which could make some tasks smoother. There are improvements to Quick Look, which lets you view the contents of many types of files by selecting them and pressing the space bar. You'll be able to annotate and edit images and PDFs from within the Quick Look interface. Screenshots have been improved, with some new editing and annotation features similar to those in iOS 11. And you'll be able to record your screen easily, something today that requires QuickTime Player. Apple's Craig Federighi gave a very clear answer to the question of whether Apple was planning to merge macOS and iOS: No! However, Mojave will have the ability to run iOS apps, if the apps are updated for this. Apple is leading the way with four new apps that are ported from iOS: News, Stocks, Voice Memos, and Home. Initial information suggests that these hybrid apps will only be able to display a single window, as on iOS, but they will respond to standard mouse and trackpad comments; Apple's not making touchscreen Macs. This could be useful over the long term. It might be good to have some simple iOS apps on your Mac, for certain tasks, as long as the one-window concept doesn't replace more versatile approaches that are used on the desktop. FaceTime will (finally) be able to create group chats, with up to 32 people. And there are also enhancements to security and privacy, notably a new feature in Safari that will block tracking scripts on websites, such as those attached to like buttons and comments, and send less information about users with browser requests. As has been the case for many years, Apple's macOS Mojave will be available from the Mac App Store, but updates to the operating system will no longer be provided through the Store—which is undergoing a huge makeover—and will return to a Software Update pane in System Preferences. 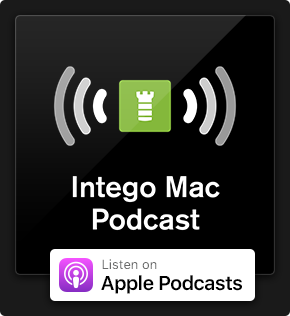 Don't miss Intego's other featured articles covering the WWDC 2018 announcements! 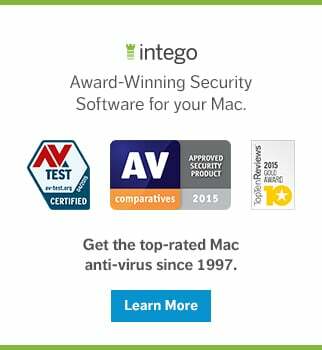 This entry was posted in Apple, Recommended and tagged macOS, macOS Mojave, WWDC, WWDC 2018. Bookmark the permalink.